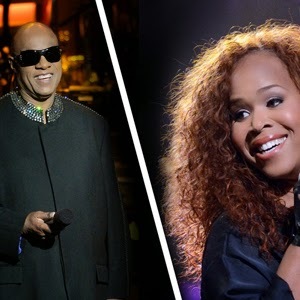 We recently told you about Stevie Wonder dropping a gospel album, and while we are still anticipating that, Tina Campbell of the gospel duo Mary Mary announces a 22-time Grammy Award winner Stevie Wonder will be featured in one of the single coming on her solo album. She made the announcement in the video below and we really cannot wait for the album slated for its release on May 7, 2015. GOD decides to surprise me with the gift of Stevie Wonder singing a duet with me for my 1st record!” She said.